Why do some people just play the notes they are handed while others write new music in the world? 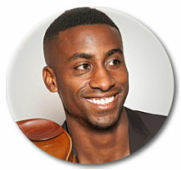 In his captivating presentation, violinist Kai Kight will tackle this question, perform original music and share the inspiring story of how he became an innovative composer in a field of conformity. This session will leave you feeling inspired to take your future into your own hands and bring your unique ideas forward. Everything seems to come down to price. However, as a buyer of energy, you need to realize that the “price you want” is not necessarily “the price stated on the agreement” because the total price you pay once the bill arrives might be impacted by your agreement terms. Join us as we discuss one of the most critical aspects of energy procurement and how to ensure energy contracting success. Robert Wooten, Director, National Accounts, Tradition Energy, Houston, TX (Presentation) For more information or important energy updates affecting your region, please contact Boo Wooten, C.P.M., CEP, Bob.Wooten@Traditionenergy.com. Tradition Energy can offer further help through the NIGP Consulting Services. We offer a Standard Energy Market Analysis that may be of benefit to many of the NIGP members: http://www.nigp.org/home/find-procurement-resources/agency-development-path/nigp-consulting/standard-energy-market-analysis-nigp-consulting. Active engagement is critical to a Chapter’s ability to realize aspirations and obtain results. Do you find that your Chapter is struggling to maintain member engagement? Albert Einstein said that setting an example is not the main means of influencing others; it is the ONLY means. Are your Chapter leaders and volunteers engaged, accountable, and producing results? This session lays out the framework for establishing deliberate objectives and expectations, providing accurate orientation, obtaining reliable commitments, and thoughtfully executing duties. Come prepared for boot camp; Chapter engagement begins with its leadership! Need to email bidders about an upcoming pre-bid meeting? Have a list of three bidders you need to hear a presentation from before making the final decision? Inviting vendors to a reverse trade show for your local NIGP chapter? Connecting with email is simple and cost effective, but only if you do it properly! Learn how to make the most of your email communications with best practices that help you communicate with vendors, team members, agency staff, and other professionals like a pro. Are you “game” for CPPB certification? Come and find out at this exciting and engaging session that mirrors the game show Jeopardy. CPPB certification is a lofty endeavor for many public procurement professionals, and the path to get there requires the mastery and retention of valuable, detailed information on all facets of the procurement process. However, no one said we couldn’t have some fun along the way! Most purchasing teams have heard of cooperative contracting. Does your team have a well-defined road map for deciding whether or not to use a cooperative contract at all? Do you have a system to help sort through the number of cooperatives vying for your attention? This session provides guidance on how to create a cooperative strategy that’s beneficial to your organization. Want to learn more? Stay for Sessions 2 and 3 to learn how to apply the most essential steps. Today’s procurement professionals understand that data is the key to attainment of a high performance procurement operation. To support the evolution of procurement as a strategic player in organizations, uses and applications of the NIGP Code is growing. This session provides an overview and roadmap on the strategic direction of the NIGP Code, as well as a forum for attendees to share their ideas and techniques for maximizing the use of the NIGP Code. Are you using Consumer Price Index (CPI) or Producer Price Index (PPI) data correctly? Do you know if you have chosen the right index? Do you know where to find cost-free, objective data for contracting and analysis? When faced with these and other questions surrounding contract pricing, procurement managers may turn to the U.S. Bureau of Labor Statistics (BLS). Through this session, learn to identify index data, including the CPI and PPI, and when and how you may use it to account for inflation in contracts. Come review the steps for choosing PPI and other index data, as well as the checklist you need to protect your agency from the potential risks of using index data. Training can be an expensive undertaking for any organization, and the value it provides can easily be dismissed or ignored if ineffective and irrelevant. This session is about an organization in a decentralized environment successfully developing their own in-house procurement training program. Your journey starts with an idea and ends with successful implementation. Working in collaboration across jurisdictions produced amazing results for everyone. Have you ever been in a negotiation and felt that you just were not in “synch” with your supplier? Or worse — that their behaviors did not seem aligned to what they were saying? Certainly you have witnessed a situation where “business happened” and you needed to go back and modify the contract. This session helps you learn the why, what, and how of a critical negotiation tool known as a “Statement of Intentions” that assists with laying the foundation for a stronger supplier relationship. Why use a statement of intent? When should you use a statement of intent? Learn to write a Statement of Intent using the University of Tennessee’s open source Statement of Intent Toolkit. Learn where to download the toolkit as a free resource so you can apply it with future suppliers. Procurement professionals are not hired to be politicians. However, we must work in a world where political awareness can be critically important to the successful execution of our tasks. We would be naïve not to at least be aware of the political implications of our day-to-day interactions and how these interactions might affect the process of the job we were actually hired to do. This presentation discusses the various forces that impact the procurement function outside of the laws and ordinances that define legal process or procedure and how to maneuver to remain informed and credible to those we serve. This session provides the history, legal framework, and best practices for successful supplier diversity initiatives. Topics include constitutional standards; elements of DBE, MBE and WBE programs; litigation pitfalls; and best practices for designing and administering programs. Are you looking to advance in your career? Are you currently in the job market or looking to make a career move in the next year? Are you looking to hire new staff in the coming year? If the answer to any one of these questions is yes or even maybe, this session provides tips for hiring, interviewing, and resume writing. How is your procurement team measured today? You might measure productivity by number of purchase orders approved, RFPs run, time from request to fulfillment, or contracts awarded. But chances are that the people who you report to and approve your budget still measure the procurement function by how much you cost. It’s time to change their minds and get them to measure procurement based on the value you add. This session covers simple to complex types of value procurement teams add, how to tell those stories in creative ways, and how to make those stories as bulletproof as possible. As negotiators, we go through the age old process of getting concessions and tradeoffs, often using tactics that are designed to help you “win” at the negotiations table. But when you step back and look at the tactics that are being used, you find yourself realizing that the majority of the tactics are short term “trust busting” tactics designed to help you get a concession versus “trust building” that will help you lay a strong foundation for a strategic supplier relationship. This interactive session shows you how you can work with a supplier to develop common “negotiations rules” that not only help produce more productive negotiations, but lay the foundation for better relationship because the tactics promote—versus hinder—trust. Many purchasing professionals have a LinkedIn account, but are you using it to truly connect? This session provides a deep dive into LinkedIn. Learn the best practices for setting up your profile, connecting with your peers, providing content for the purchasing community, whether or not you connect with vendors, and much more. Maximized Competition – Are you sure? The key goal of public procurement is to ensure the purchase of the goods and services are secured at a fair and reasonable price. Most of the time, we achieve this goal by providing an opportunity for fair and open competition of needed goods and services. But, even if there’s competition, how do you know you’ve received sufficient competition or if you could have done better? This session explores market competition types and strategies to improve competition to gain assurance you’re pricing is fair and reasonable. Communication is a vital part of any industry, with most people relying on Microsoft Outlook as their email application. But are you getting the most out of what Microsoft Outlook has to offer? Come learn about the fundamental aspects that you might be missing, from message management options to optimization of your calendar and meeting requests. Member and vendor connection is critical to a Chapter's operation. Come see how the Rocky Mountain Governmental Purchasing Association is improving chapter operations and member connections through the use of technology and innovative opportunities. Learn how RMGPA is using Google Hangouts, a no-cost video call platform, to give members the option to attend business meetings, chapter conferences, and chapter board meetings. We are continuing to explore new ways to use this technology to grow the opportunities we offer our members, while balancing our priority of maintaining high conference attendance. Learn about other innovative techniques that helped RMGPA to increase vendor trade show participation over 45%. In 2013, Washington State Department of Enterprise Services (DES) undertook a reorganization of their Contracts and Procurement Division in order to enhance customer experience, promote inclusion and transparency, and improve employee development and retention. Learn how you can restructure your organization to create a collaborative, valued environment for your customers and your team. Imagine a world where all pests, from birds to bed bugs, stay outside. Integrated pest management (IPM) accomplishes this with least risk solutions that are the most effective for both people and budgets. In this session, learn how to choose the best partner for quality pest management, understand what “green” means in the context of pest control, and be able to write specifications for and evaluate responses to pest management RFPs. You’ve sent hundreds of emails and meeting requests using Microsoft Outlook. Now advance your communication skills and learn how to use Microsoft Outlook like a pro with features like task setting, Quick Parts, and poll creation. Over 4,000 procurement professionals have attended Spend 101 and 201 presentations at Forum, regional NIGP events and webinars over the last 5 years. This session includes a 5 minute recap of those two workshops and then goes much further into new and creative ways that you can use spend data to drive executive engagement, departmental interactions, decision making, and more throughout your organization, which go well beyond savings and efficiencies. If you don’t know about the new “Uniform Guidance,” it is time to learn. The 2 CFR Part 200 – Uniform Administrative Requirements, Cost Principles, and Audit Requirements for Federal Awards combines eight different prior circulars into one. Gain a new understanding of how you can and cannot spend federal dollars. Learn about the key changes and understand how they will impact your organization. In today’s culture, the terms innovation and government bureaucracy seem to be on opposing teams. Governments have tremendously innovative individuals coming up with phenomenal ideas every day! This workshop reviews some of the bureaucratic hurdles faced attempting to implement innovative ideas. Explore some key aspects of how public sector organizations can promote innovation and how to get these ideas implemented. Using Microsoft Excel efficiently and effectively requires the knowledge of a special skill set. From advanced functions to conditional formatting, this session helps you grasp the tools and steps to take your Microsoft Excel skills to the next level. What does it mean to be a leader? It's more than a theory and certainly more than your working title; it's a way of thinking. By exploring the concepts of leadership, you can learn how to contribute to your success and the success of your organization. Take the time to explore, learn, and share ideas to be better equipped to fill your leadership role. Take a look at the components of an effective, efficient process that is compliant with the Uniform Guidance. This session covers the role of a procurement department, the role of the fiscal department in purchasing, appropriate limits and approvals, how to implement micro-purchases, and what a sealed bid is and why it matters. UPPCC CPPO & CPPB Certifications – You’ve Got What It Takes! Make 2016 your year for CPPO or CPPB certification! Join the staff of the Universal Public Procurement Certification Council (UPPCC) for this informative discussion and discover what it takes to obtain your Certified Professional Public Officer (CPPO) and Certified Public Procurement Buyer (CPPB) credentials. Case law governs the impact court decisions have on future cases. In this interactive session, you review relevant case law facts on several public procurement cases, hear the arguments from each case, and discuss the possible outcomes. Once the final case decisions are revealed, the impact of the decision on the public procurement profession is discussed.